Posted on Monday, October 13th, 2014. 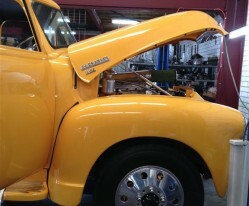 Daniels awesome 1953 Chev 3100. 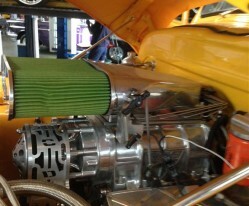 Supercharged smallblock uses 4L80E TurboHydramatic and COMPUSHIFT to get all that power to the ground.